the healing presence of Love to soothe and uplift the collective consciousness, every soul. ECSTATIC GROUP SONG & MOVEMENT! Matish is available to do events, sing for weddings, retreats, workshops, etc. Please E-mail us from the Homepage. or would like to have Matish play music at your event. Celebrations of Loving Essence, Union & Integration! Come join us for these memorable events! Outrageousness and the sacred all together! The presence we bring is the essence we sing! Would you like to experience the dolphins and whales of Hawaii or Bimini? Come and behold the Beauty and Magesty of these playful, sentient beings! Ecstatic Dolphin & Whale Interactions! humor, truth-telling expressions through an outpouring of song and playfulness. from a most rarefied softness, to stirring heights of rapturous joy. Listen to audio samples of Matisha's music. Listen to audio samples of Matisha's poetry. as we open to the magnificent essence of beauty at our core. yet, very much what each heart has yearned for. to invite an evermore passionate, expansive, "feeling experience"
cultivating the gifts of Spirit, which support us in living our true life path. hospitals, places of healing, schools, etc... through Ecstatic Journey Home. Matisha's music is available through New Leaf Distributing and DeVorss & Co. and Silenzio Music in Europe. Stores and centers can purchase through these companies. Thank you for the immense blessing of your presence! Schedule below is followed by more information about events, plus a few links. Ecstatic Group Song & Humor! To view Flyers you'll need Adobe Acrobat Reader. If you don't have it, click here to Download Acrobat Reader. It's free. Click here to Download the Flyer and/or Print it. (You'll need Adobe Acrobat Reader, which comes installed on most computers within the last few years.) Click here to Download Acrobat Reader. It's free. A Rare and Inspiring Experience of Ecstatic Group Song! Interested in hosting an event with Matisha? Please email us (toward the top of page). Are you coming to Hawaii? Come and behold the beauty and magesty of the Dolphins and Whales! Matisha's latest album, SACRED LOVING is available. Matisha is a singer/songwriter/guitarist/humorist, who offers transformational events, which are deeply moving and life-changing for many. His voice is nurturing and powerful, penetrating in its clarity. Matisha is often called upon to unite groups in a dynamic tapestry of sound, song and movement. With his montage of comical characters and satires, these events are rich with occasional, unexpected spectacles. No matter how one might be feeling before attending one of his events, they will most likely leave feeling soothed, lighter, vibrantly alive, inspired! His songs carry a depth of purity, innocence, passion, a resonance of Home. Matisha was part of a team that taught A Course In Miracles in San Quentin prison. As of August, 2002 he has five albums available, (including one poetry CD). Click here for Matisha's full Bio. * Description of his albums. * Audio samples of Matisha's music. Matisha's music is available through New Leaf Distributing, DeVorss & Co. and Silenzio in Europe. Order Online through Village Books. More information plus a few links. Matisha's latest album, SACRED LOVING is now available. "Matisha�s music has opened my heart many times. What his songs convey is always perfect for what I am experiencing at the time." 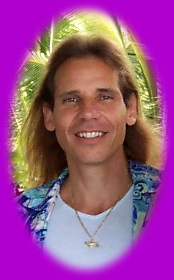 Gary Zukav, author: The Seat of the Soul, The Dancing Wu Li Masters & Soul Stories. "Matisha's music moves me in a big way. and transforms any audience. Bask in it!" Dare To Be Yourself, A Deep Breath of Life and several others. Below are the URL's (web addresses) of the links above. copy/paste the following URL's into your Internet Browser's Address window. The Land Celebration is a beautiful 43-acre tract set in the foothills of Virginia's Blue Ridge Mountains. This weekend event is a highlight of the year. It hasn't yet been decided if I will be there though, I hope so. in a safe and loving environment, to keep clearing ourselves. Remember the importance of physical movement each day. In what ways can you make a difference in this world? Sometimes it's the little things that touch others most profoundly. How truly are you a loving friend to yourself? Our truly loving friends show us that, simply by being. How can I serve humanity, another life, all life...today?